Our daughter’s wedding has come and gone and it was beautiful. 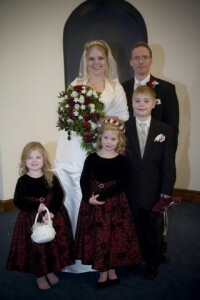 We are so pleased with her choice this time and we had a lot of fun getting ready for it. Here is a photo to let you see the happy folks involved. 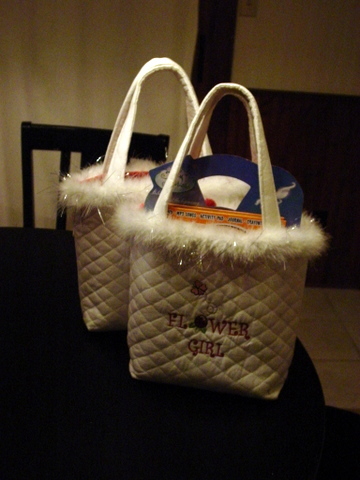 I made the flower girls’ little totes and filled them with items to keep them quiet during the service. It kind of worked…. 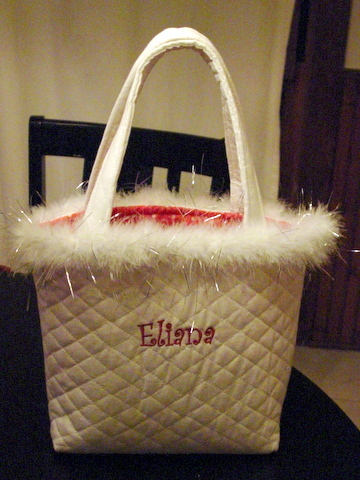 But they now carry them everywhere. They were just the right size for them. Here are a couple of photos. I will be posting the design for it as well in the Free Design section. Hope you find some use for it. 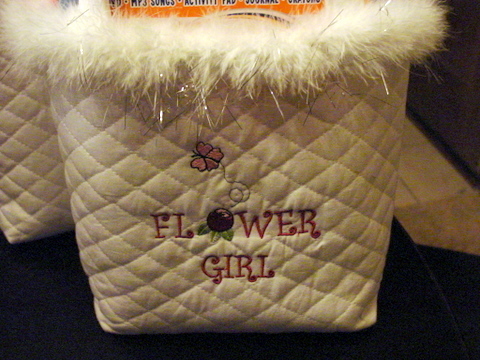 The flower girl totes matched “Mommy’s” bridal tote. Congrats to all, hope they have a happy life!